The 27th Amendment is the most recent amendment to the Constitution, and its existence today can be traced to a college student who proposed the idea in a term paper and was given a C by his professor for the idea. Today marks the 24th anniversary of the amendment’s ratification in 1992, and it seems likely we won’t see a 28th amendment for some time. “No law, varying the compensation for the services of the Senators and Representatives, shall take effect, until an election of Representatives shall have intervened,” the amendment reads, as approved in 1992. In short, the amendment states that a sitting Congress can’t give itself a raise (or cut its pay) during its current session. 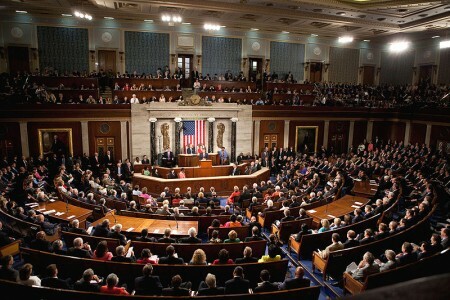 Any pay raise or cut would take effect for the Congress that follows a sitting Congress. It’s not a new idea. Founding Father James Madison first proposed back in 1789 along with other amendments that became the Bill of Rights, but it took 203 years for it to become the law of the land. In 1982, a college undergraduate student, Gregory Watson, discovered that the proposed amendment could still be ratified and started a grassroots campaign. Watson was also an aide to Texas state senator Ric Williamson. Shortly after the amendment was ratified a decade later, New York Law School professor Richard B. Bernstein traced the journey from 1789 to 1992 in a Fordham Law Review article. Bernstein called Watson the “step-father” of the 27th Amendment. Watson was a sophomore at the University of Texas-Austin in 1982 and he needed a topic for a government course. Watson researched what became teh 27th Amendment and found that six states had ratified it by 1792, and then there was little activity about it. Watson concluded that the amendment could still be ratified, because Congress had never stipulated a time limit for states to consider it for ratification. Watson’s professor gave him a C for the paper, calling the whole idea a “dead letter” issue and saying it would never become part of the Constitution. “The professor gave me a C on the paper. When I protested she said I had not convinced her the amendment was still pending,” Watson told USA Today back in 1992. Undeterred, Watson started a self-financed campaign to get the amendment ratified. He wrote letters to state officials, and the amendment was ratified in Maine in 1983 and Colorado in 1984. The story appeared a magazine called State Legislatures, and an official from Wyoming, reading the magazine, confirmed his state had ratified the amendment, too, six years earlier. The proposed amendment and its supporters tapped into general public anger about Congressional pay raises. Five more states ratified it in 1985, as legal experts pondered if the entire process was valid. One issue was a Supreme Court case from 1921 called Dillon v. Gloss. In that case, the Court in a unanimous decision said that when “amendments are to be proposed, the reasonable implication being that when proposed they are to be considered and disposed of presently.” However, the Court didn’t require Congress to put an expiration date on amendments to be ratified by the states; it only confirmed the power of Congress to do so. In 1992, two states raced to be the 38th state to sign off on the 27th Amendment, making it a law. Alabama beat New Jersey to the punch on May 7, 1992, but New Jersey quickly voted for ratification, too. The ratification, said Bernstein, caught Congress by surprise, with some key leaders questioning the legality of the ratification approach. However, the Archivist of the United States certified the amendment as ratified under Article V of the Constitution, and published it in the federal register. 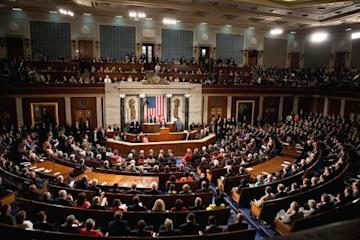 And Congress voiced its support of the amendment in a near unanimous vote. Since then, the 27th Amendment has gotten very little publicity, expect for the occasional news story about Watson’s personal quest to get it passed. But in 2014, during the fight in Congress over the federal government’s budget, GOP House leaders proposed linking congressional pay to the budget debate, and it didn’t take long for journalists and academics to recall the 27th Amendment. Critics were quick to point out that withholding pay, even temporarily, would “vary” the compensation for Congress members, and in their opinion, presented a direct violation of the 27th Amendment. Eventually, a short-term budget compromise was reached and the bill’s validity under the 27th Amendment was never tested.